The top-ranked Serb avenged a loss to the veteran German from just under a month ago as he moved into the third round in two hours, 37 minutes. 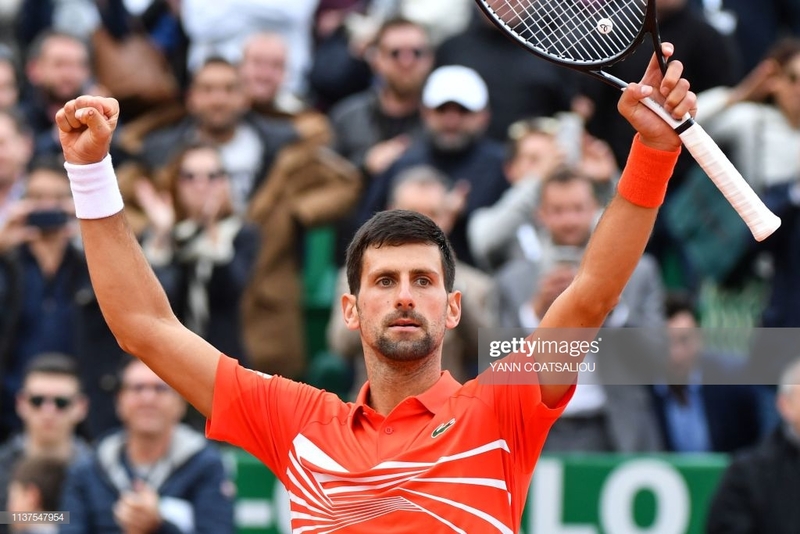 World number one Novak Djokovic was made to work for his second round victory at the Monte Carlo Rolex Masters, overcoming the tough Philipp Kohlschreiber 6-3, 4-6, 6-4 in two hours, 37 minutes on Court Rainier III. The Serb gained a measure of revenge against the German, who stunned him earlier this year at Indian Wells. Djokovic will face the winner of tomorrow's match between Taylor Fritz and Diego Schwartzman in the third round. Djokovic was made to work in his opening two service games, pushed to 30-30 before holding on both occasions, Kohlschreiber's forehand letting him down in the key moments. It was the German's turn to feel the pressure on serve, falling behind 0-30 before holding to level the set at 2-2 before one of the key moments in the match occurred with Kohlschreiber ahead 30-40. After Djokovic popped up a volley, all the world number 40 had to do was put his forehand into the open court to claim the first break of the match. Instead he overhit it, the shot sailing long, the Serb eventually holding. The world number capitalized on his first opportunities to break in the eighth game and he was gifted the break, Kohlschreiber committing three unforced errors, Djokovic ahead 5-3. He held to love to take a hard-fought first set. The second set was filled with chances for both players. After easy holds for each, Kohlschreiber saved a pair of break points to take a 2-1 lead. A double fault by Djokovic handed the German his first break of the match. It didn't last long as the Serb broke back, starting a trend that would last the rest of the set. A simple backhand volley pushed wide by Djokovic caused the world number one to smash his racquet against the clay repeatedly. Kohlschreiber again flew a forehand long for the fourth straight break of the set. It became five on the trot when Djokovic bungled a simple forehand to give the German the chance to serve out the set at 5-3. After a sixth straight break once again brought the set back on serve, Djokovic seemed to be heading for a hold, ahead 30-0, but Kohlschreiber claimed the last four points of the game to take the set and level the match. The streak continued to begin the third set when Djokovic broke to love, a forehand winner giving him the early edge. The Serb survived three break points against him to record a battling hold and stretch the lead to 2-0. Both men got into a good rhythm on serve, the returner winning just two points over the next four games, Djokovic coming out of that stretch with a 4-2 advantage. The Serb nearly put the match out of reach in the next game, but Kohlschreiber hung on from 30-30. Given what would turn out to be his last chance to get back on even terms, the German sent his trademark backhand just long, giving Djokovic an escape route and a 5-3 lead. He showed his class by fighting off a match point with a sublime drop shot. Serving for the match, the world number one raced out to a 40-15 lead, but committed unforced errors on both opportunities. A third chance came and went, but finally on his fourth chance, a final error off the ground from Kohlschreiber sent Djokovic to the round of 16.